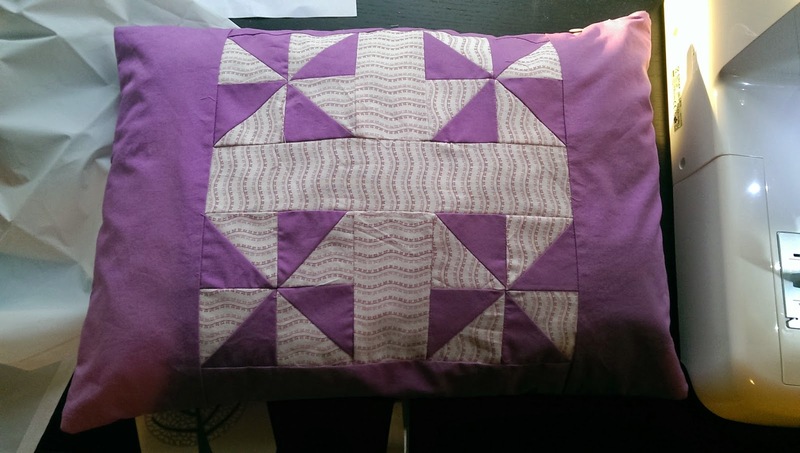 So in a break from dressmaking, I decided to upgrade a tired old cushion to make something a little nicer and not a drain on the eyes! So this was originally a cheap cushion bought to cheer up my student flat many moons ago - the place was a dive and required some home comforts! The original fabric frayed really easily and in the process of unpicking probably reduced in size by at least a cm! The one good thing about the existing cover though was the presence of a good quality invisible zip! The zip was still good! 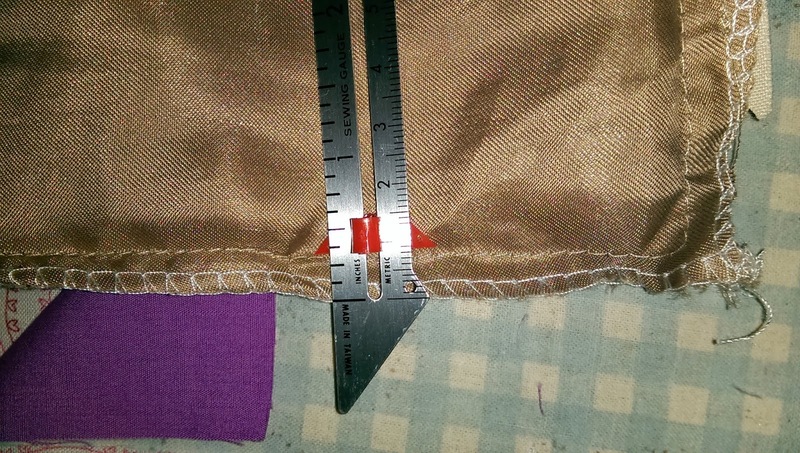 Checking the seam allowance so the final cover would fit. 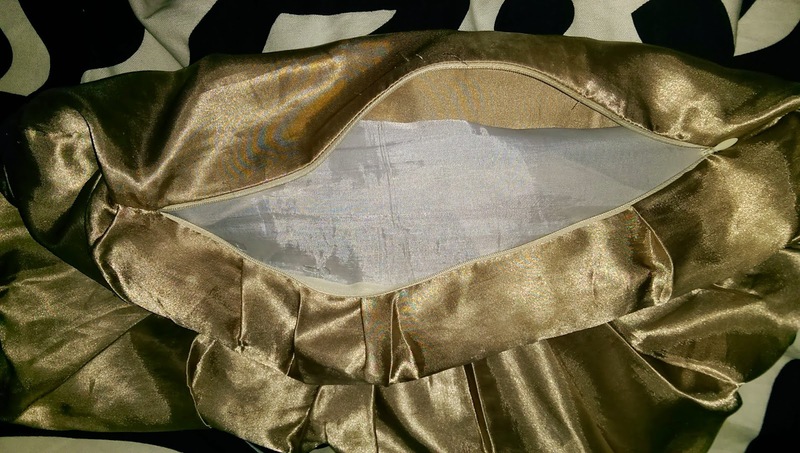 I decided to keep to the original finishing technique so for the final make up i serged the edges, inserted the zip then sewed just inside the finished edges so nothreads would pull from the serged seam. 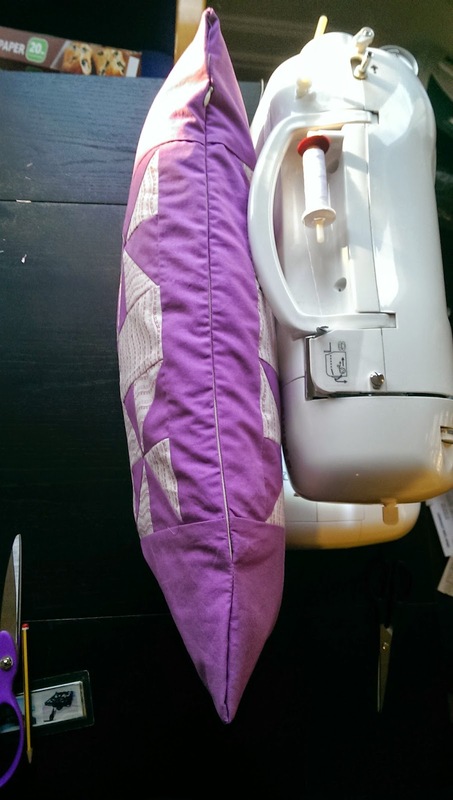 So the final design was made up of materials from my stash - the purple is from my New Look 6144 dress and the white is from a bunch of fat quarters which im not sure they ever had a definate purpose. the pattern isn't exactly how i envisioned it i didnt have enough of either colour to make one the entire background on both sides so I improvised a bit and dont think it turned out too badly. I am pretty happy with the way the zip went in. 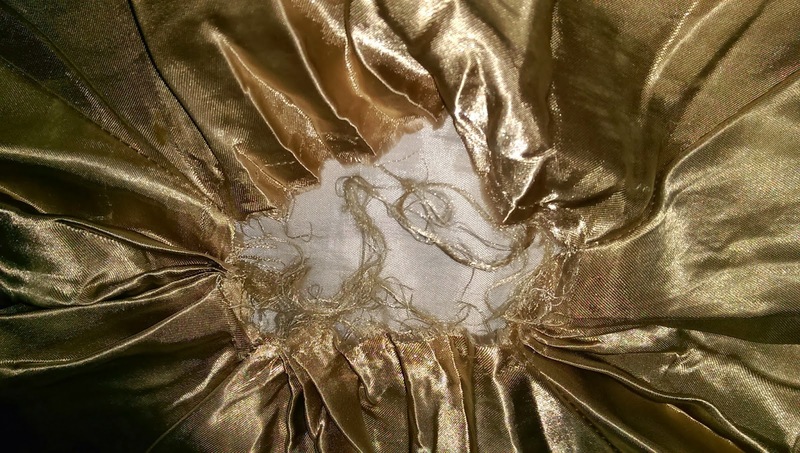 It wasn't one of the rubbishy nylon ones which ever go in well - rather it was like a cotton tape so there wasnt much movement when it went in. 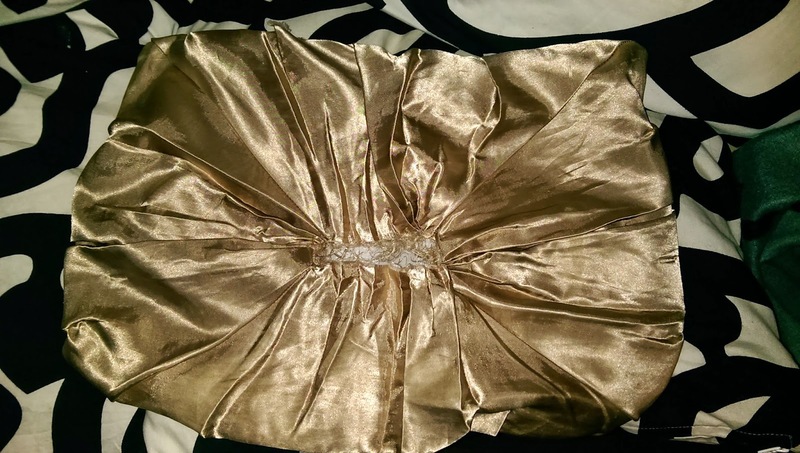 So I hope you like my little stop gap project - it was really quick to sew up and looks a million times better than its predecesor! Completed: Chataigne Shorts number 2.